A comprehensive list of Golden Gate Brass’ past projects. 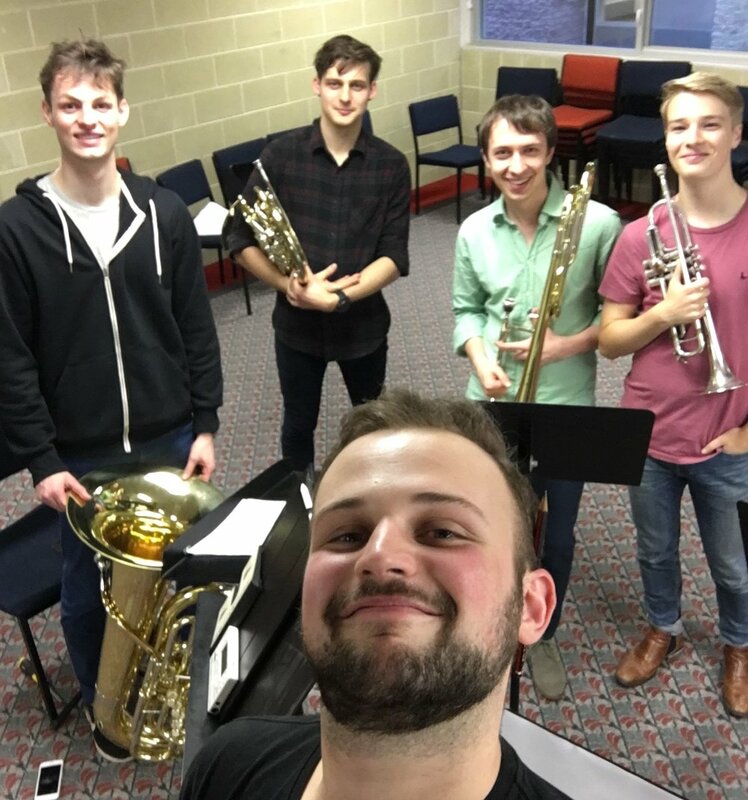 In September 2018, after a busy first half of the year for everyone, Golden Gate Brass traveled to Perth to undertake a residency with the University of Western Australia. While there they worked alongside the students, sharing their expertise and experience to help develop the next generation of brass students in WA. The residency included giving seminars, workshops and performances both as a quintet and in large combined ensembles alongside the students. 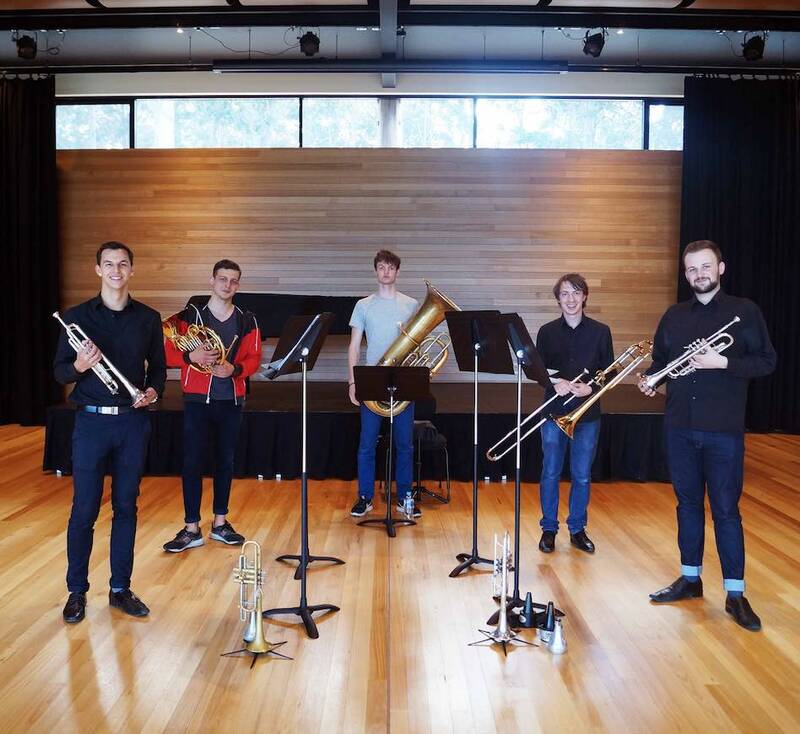 On Sunday the 2nd of September, Golden Gate Brass held their own concert at Callaway Auditorium in UWA, performing works by Ewazen, Hillborg, Bernstein and Caleb Hudson. We were very lucky to be joined on the tour by young trumpet superstar, Sam Beagley, who stepped in for Michael while he was away working with Orchestra Victoria. The ensemble really enjoyed their first tour to WA and can’t wait until their next western adventure. To see what our friends at UWA are up to, check out their website or Facebook page. In November 2017, Golden Gate Brass collaborated with Ad Lib Collective’s Thea Rossen and Jesse Deane to put on a concert at the Brunswick Green. This was part of a larger series of concerts established by students of the Australian National Academy of Music. The set was comprised of well known works arranged by our very own Jackson Bankovic, and was a great way to engage with audiences who wouldn’t often hear a live brass quintet. For more information on Ad Lib Collective, check out their website here. 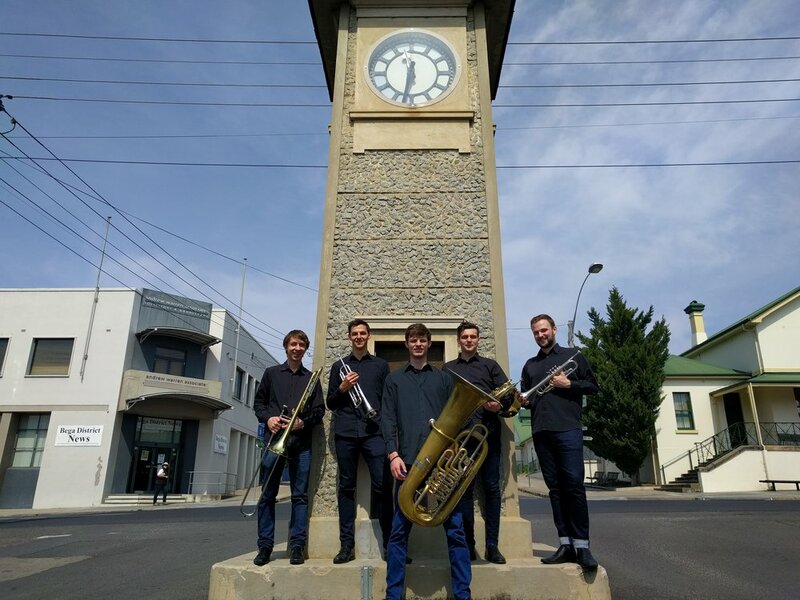 At a concert held by ANAM as a private function in Melbourne CBD, Golden Gate Brass were privileged to share the stage with the Corelia Quintet. After performing a set each, Corelia and Golden Gate Brass combined to perform an arrangement of George Gershwin’s ‘An American in Paris’, arranged for the ensemble by trombonist, Jackson. It was fantastic to work alongside these extremely talented musicians and we were very grateful to have shared the stage with them. Shortly after arriving back from Bermagui, Golden Gate Brass performed at the opening of the Hokusai Exhibit in the National Gallery of Victoria. Fitting in with the theme of the exhibit, the quintet premiered their own fiendish arrangement of Debussy’s La Mer, arranged by trumpet player, Fletch. It was great to be a part of the celebrations surrounding the exhibit. In September 2017, Golden Gate Brass travelled to regional NSW to undertake a two week residency with Four Winds in partnership with ANAM. Whilst there, they worked with the wonderful team at Four Winds to promote music at local schools, libraries, and homes by giving interactive performances that taught young children about music as well as introducing them to brass instruments. The ensemble also worked as tutors at South Coast Music Camp in Bega, where they coached sessions and played alongside local students and musicians, sharing their experience with those who wouldn’t have access to many professional musicians. At the end of the residency, Golden Gate Brass appeared in concert at the Windsong Pavilion at Four Winds, where they performed a program of large symphonic arrangments. This was a truly memorable experience for the quintet and they are itching to return to the Sapphire Coast and see all the wonderful people from the region. Be sure to read up on the developments and amazing work done at Four Winds. Our debut concert in July 2017 was held in the South Melbourne Town Hall as part of ANAM’s Soundbite concert series. We performed an all American program, featuring Street Song by Michael Tilson Thomas, Joan Tower’s Copperwave and Frost Fire Eric Ewazen. Well received by all, the concert was a fantastic launch for the ensemble. ANAM regularly hold Soundbite concerts every month to showcase what the musicians have been working on, and often feature a wide variety of instrumentation and repertoire. To see what other Soundbites are coming up at ANAM, keep an eye out for them at What’s On at ANAM.